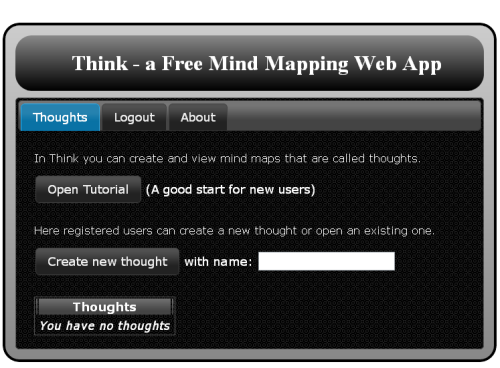 Think is a web-based mindmapping tool that’s easy to use and manipulate. It was created by Ashley Sands using HTML5, Django, Google App Engine, and JQuery, and kindly made public. Registration is free and you can log in using your Open ID, Google or Yahoo account. You get started with a central node and can add additional nodes and text information. Selecting a node gives you access to editing tools. 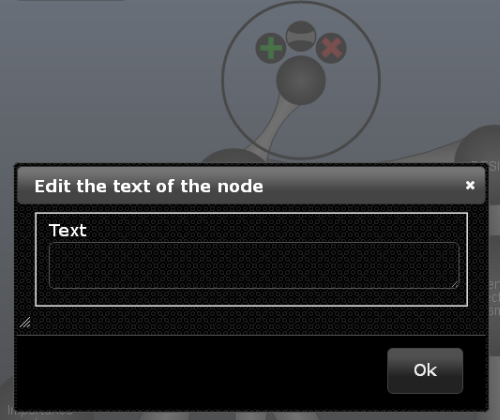 Double clicking on a node gives you access to a text field. There are limited options here, so you won’t be able to add live links or images. An example of a mind map on motivational design is shown below. Think is not a power tool in the sense that you can’t add images and other assets to nodes but you don’t always need a power tool. I like that it’s web-based; the nodes are easy to manipulate ,and you aren’t stuck with a focus on a central node since you can sever connections and create multiple mini-maps on a single page as shown below.